With the days getting colder, and the nights getting darker, we’re constantly on the lookout for ways to brighten the day, and today we’ve stumbled across two fantastic winter special offers, which will hopefully fill you with excitement at the prospect of taking a winter weekend away to taste fantastic wines! Fabulous Florence: Enjoy a four day/three night break for just £409 per person! Based at the deluxe 4* Hotel Brunelleschi, this winter Tuscany offer welcomes guests for a three night stay, with a full day guided and transported wine tour included. The hotel itself is a true haven of tranquillity situated right in the heart of historic Florence; the hotel prides itself in delivering an immaculate service, and there is a gastronomic restaurant, typical Osteria, and wine bar on site. We are delighted to offer a complimentary room upgrade for anyone booking this package. After settling in on day one, day two will be dedicated to discovering the wines of the region. As part of a small group you will be taken to visit two wineries for full tours of the estates, followed by the opportunity to taste the wines produced here. You will also have the opportunity to taste locally produced olive oil, and to enjoy a typical, authentic Tuscan lunch. 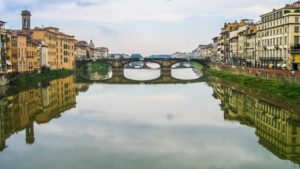 Your third day in Florence will be free to explore this fascinating city, and late afternoon we will arrange a wine tasting session in a local wine bar. Ending the trip in style, a Prosecco aperitif followed by a delicious three course dinner will be served in the hotel’s Osteria. This one-off package is valid for travel between November and March, and is based on two people travelling together and sharing a double or twin room. 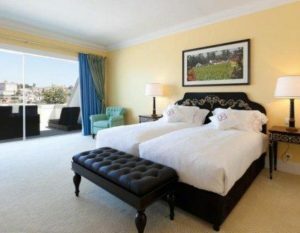 The price is £409 per person for a Classic room, with complimentary upgrade to a Superior room provided. Other room grades are available. 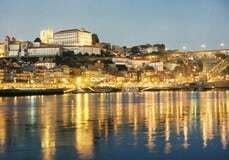 5* Essential Porto: Save £147 per person this winter – a three day break just £499 per person! The Essential Porto three day break offers the perfect introduction to the Port wines, with Port lodges and restaurants within walking distance of 5* Yeatman Wine Hotel where you will be based, situated in the historic heart of Vila Nova de Gaia. This 5* enchanting hotel is a luxury haven, offering a stay of ultimate indulgence and relaxation. Alongside its inspiring gastronomic experience, the hotel also boasts an extensive landscape garden, which provides a serene and tranquil setting to enjoy a glass of the hotel’s comprehensive collection of Portuguese wine. The Yeatman’s most distinctive feature is its Caudalie Vinothérapie Spa, an oasis of calm and well-being, with two panoramic infinity pools and a unique range of facial and body treatments available to guests. On the tour, you will have the opportunity to visit two renowned Port lodges – Sandeman’s and Grahams – for full tours and extensive tastings of no less than eight Ports in total! You will also enjoy a tasting lunch in a riverside restaurant, where local delicacies will be accompanied by two more Ports and a Douro wine! 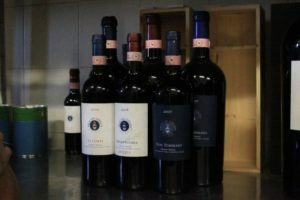 To round off the trip, we arrange a four course gastronomic dinner at the excellent DOP restaurant, which will be accompanied by wines, Port, water and coffee. For travel between November and March, we are delighted to offer this break for just £499 per person, based on two people sharing a double/twin Superior room.